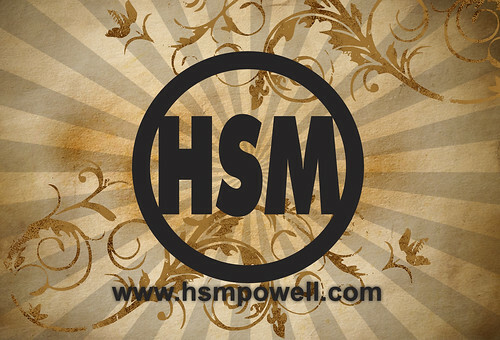 HSM is not a ministry that packs out the summer calendar with a ton of events. In the past we have done the shameless youth ministry things like Cedar Point trips, but have simplified recently. We change gears as we pause Wednesday nights for the summer, but most small groups keep meeting and everyone has an option as the others merge into student lead groups. We also offer 4 different options (2 HSM trips, 1 church wide trip, 1 HSM conference) that are trained/prepped and shepherded/debriefed accordingly. While I am not in a hurry to put more things on the calendar for no purpose, I have been having a conversation like Kurt’s in my head. To a fault we are kind of leadership/inward focused in the summer. Is it possible to keep the pace of our outreach and visitor friendly culture into the summer? We have discipleship and leadership development present in the summer, but how can we still gather? I am convinced that summer will be different in our setting because it is impossible to consistently maintain critical mass. Almost everyone goes on a vacation or two with a camp, sports camp, team camp, or sports practice messing things up. Our own summer trips even break up hope of a consistent showing of core people in many ways. Having said that I am dreaming of gathering people around a core event each month over the summer. Something fun enough that you want to come, but rare enough that you wouldn’t blow it off like a week to week program. But also something that isn’t dependent or a failure if numbers are down. One rallying point with no agenda other than keeping people connected. So that we a ministry have an aspect I think we are missing and so we stay gathering and connecting people through the craziness of summer schedules. JUNE-It’s ironic I am not sure what to do for the first event. I just don’t want it to be something weak that amounts to opening potato chips and playing pool in the youth room. Possible thoughts are a night of worship (possible under the starts) or we could always do the new youth ministry fallback Slip n’ Slide kickball. JULY-Because it is so close and the first session is free to all guests, I would like to cram any and everyone I can on a bus and let 50+ people experience the Momentum conference and its incredible spirit and worship first hand. This is a no-brainer for me right now. AUGUST-I didn’t know if this would be possible again but I am a sucker for a pool party that looks as cool as the ones in movies. You know the kind 100 people and some great music. We actually have 2 spots of people in our church I think we could pull this off. We could maybe rent a couple of public pools also. SO WHAT DO YOU DO FOR THE SUMMER AND WHY? ANY SUGGESTIONS OR THOUGHTS FOR US? 2) Her favorite posts are the mind dump ones. It was in that momentum I committed to dedicate my next mind dump post to her. Now on with the show. I am not an official coach this year for soccer. I will still show up and have so many ties to the team and program. I miss the guys. I am excited to watch the season unfold. I know they are gonna do some big things. Speaking of soccer, I am making my pilgrimage back home this weekend to the Norwayne High School alumni soccer game. I will try to not be the most pathetic, fat slow guy. Got to hang out with Brandon and Lindsey last night. Freaking love them. Gotta make that happen more. Is this the farthest I have ever gone into a mind dump post without referencing ministry? I am getting pumped for HSM Wednesday nights to start up on September 2nd. There have been times in my life that I wasn’t feeling phrases like “making Jesus famous” but I think as I go into this year it really captures where my heart is right now. HSM is in the process this year of taking our Grace groups to the next level. I have asked Jim Heffner to oversee our 7 grace groups. He knows what healthy discipleship looks like and I can’t wait for him to bring the DNA of the original mancave to all our groups. I met with Vickie Darrough today and she is getting ready to take our atmosphere, decorating, and all that jazz to the next level. I believe in our visitors feeling at home with our room before there soul is even cared for and Vickie’s team makes that a reality. Another thing I am excited about and stole from Sean Spoelstra and the kind people over at Encounter Church-We are having Kelly Coville be our official testimony person this year. This is because I have been taught “your people become what you celebrate” so we are going to celebrate things that count. In the past I have intended to do that in the past, but as the year goes on it can fall through the cracks. This year it is someone’s job and Kelly’s passion and heart will make sure it goes all year. Speaking of Encounter Church. They broke 150 people this past weekend. Yay for consistent healthy growth for new churches. Brandon is gonna make the next round of incredible HSM shirts. Every one he has touched has been sweet and fought over. This time to get them people will have to go through an interview with me. Is it worth it? My friend Mike and Emily taught me this week that I could get free Amazon gift cards for just searching the internet and using swagbucks.com. I am doing it and it is so easy it blows my mind. I was skeptical but I am gonna get free books! Tomorrow night the youth pastor’s from the Grace Churches in North Central Ohio are getting together with our families for a cookout. Looking forward to just sitting back and having a good time. I will be right at home with other guys who married out of their leagues, have gotee’s and are a little heftier than they used to be. This week I noticed a cussing on Facebook outbreak of students that call HSM (my ministry) their home. This isn’t new; it is something we have dealt with before at different times and with different people. This hurt me because these are people who I look to lead our ministry and who have a ton of potential and in those moments it seems like they aren’t even trying to represent Christ. Some might argue “it’s just a word, who decides that those words are wrong to say”, but here is where I rest. We are told that we have new life in Christ. People are supposed to see something different in us and when I look at someone’s page and they are dropping words and right under that is says they have RSVP’d to attend our youth group launch for the year I wonder if there friends see anything transformational in them at all. It is part of a bigger issue we have dealt with that students see a breakdown in different compartments of their lives. Church is one world, family is another, and friends, Facebook, and media are others. Their God and their decisions don’t look the same in all those situations and worlds and that saddens me. Christ wants every part of us, our world, and our lives. This makes me look at my life and ask if there are parts I am not giving to God. It’s easy to judge someone when they mess up in a public forum, but what about my decisions that no one can see. I am praying through that this week as I try to lead people struggling with the same thing. I recently met Adam Lehman via Twitter and today we even met in person (the old fashioned way) for lunch at Subway. Adam is the youth pastor at Sawmill Covenant Church in Powell. I am jealous because his church is closer to Jersey Mike’s than mine. Anyway, Adam said talking to me inspired a blog post and I found that entertaining so I had to link to him and it. The great people at Oak Leaf Church have finally launched launchandlead.net. They are open sourcing their series graphics and other creative stuff. Check it out! My esteemed co-worker Dustin Godshall has been using a great idea that I recently stole and wanted to share with you all. I have shared on here before that because of my influence we love to use clubflyers.com at my church. We have used their great price for 5,000 cards on one time events like our dodgeball tournament. Every youth pastor is making regular contact with students to invite them to events, to tell them they have been missed, and to tell them happy birthday. Every youth pastor is making contact with staff to remind them of events, tell them happy birthday, and keep them encouraged. Dustin and I grew sick of not being able to afford good stationary and having to produce our own cards/flyers. Producing our own meant making them on our ghetto church copier that makes everything darker and can’t make more than 3 two-sided copies without breaking. Not to mention we were designing them on less than desirable programs (cough! Microsoft cough!). 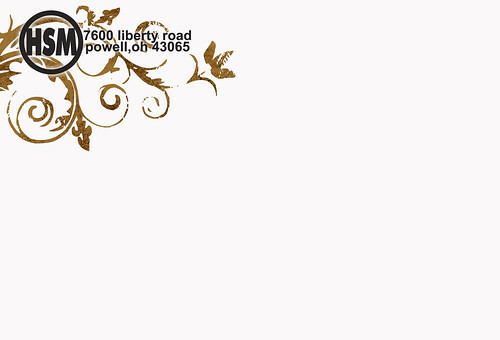 Dustin decided that he could design a very general ministry postcard that could be used for many occasions. If it was for a big event you left the card so it was able to be printed on, but if it was personal you could write on it too. Maybe it sounds so simple it is stupid, but I was so impressed I copied him and got my own. This is not the best idea in the world, I think the reason I am so big on this is because I find myself in a position where I feel the pressure to produce stuff like bigger churches that is excellent. Student ministries and all sizes of churches can feel this often. This is one way I felt that stealing an idea from Dustin helped me keep up. Here is the card I am going with now. While I can’t pretend to be an expert in this area, I have been through this a couple of times and thought I would share what I do know. There are a few major things you have to look at when you are planning a budget. It won’t give you final answers, but these are questions that will at least begin to formulate a direction you are headed. 1. Have you prayed about this? 2. What is your church/ministry vision? For many it is the five purposes, excellence, technology, etc. If you are saying you value it put your money where your mouth is and prove it. EXAMPLE: Our values are worship, grow, serve, and outreach. Those along with Staffing to create them are my focus. EXAMPLE: Last year my budget was ……come on did you really think I would write that? I will tell you that I have had a budget go up by 50% and be reduced by 25%. EXAMPLE: I have known churches that came to staff 9 months in and told them to plant on 10% of their budget being cut. I have also known churches who have started a second campus or planted a church and shifted funds and focus mid year. While we all know that a new wii would impact eternity because of the lives it would change, if you are honest with yourself your money may be better spent on leader appreciation. EXAMPLE: While I have always had the dream for technology and part-time staff, those things didn’t happen in year one and have to be built toward.